How has social media become a platform for social justice, particularly for marginalized groups? What is hashtag activism, and how does it create change? 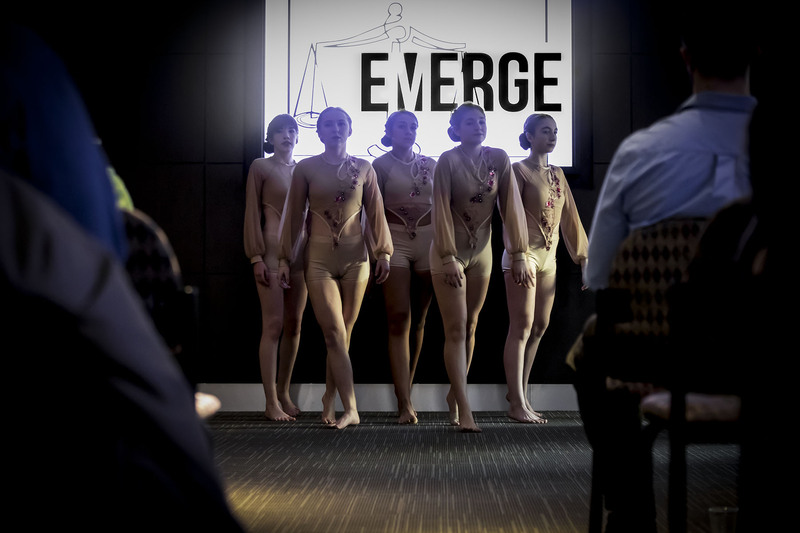 A team of fourth-year University of Guelph-Humber Media Studies students recently explored these questions as they hosted Through Media to Justice, one of a series of EMERGE events hosted by UofGH Media Studies students. 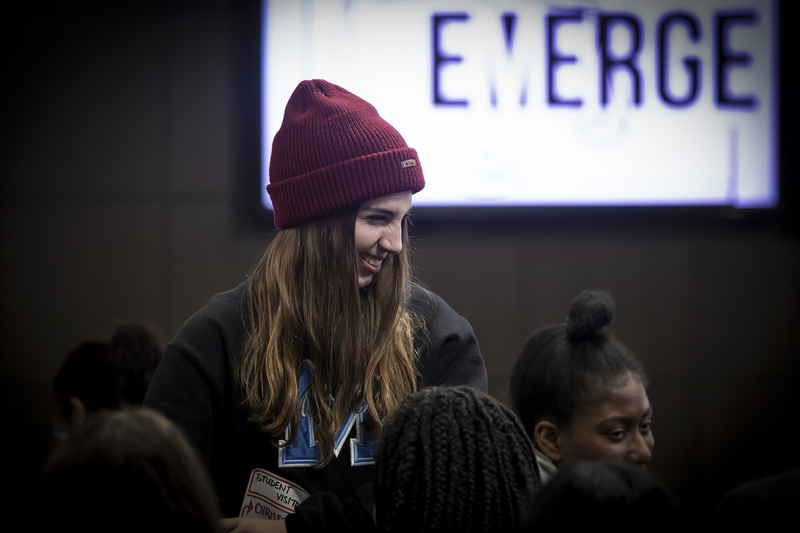 From its inception in 2013, EMERGE was historically an annual one-day conference hosted by fourth-year UofGH Media Studies students. This year, instead of one large event, student teams created several smaller events over five weeks. Kathy Ullyott, Program Head for Media Studies, says working in smaller teams gave students the opportunity to be more involved in the process and hone their creativity. “Each student got to be more intimately involved, and had a real sense of ownership over—and engagement with – their event,” she says. ConNext, a networking event that connected media professionals and students. 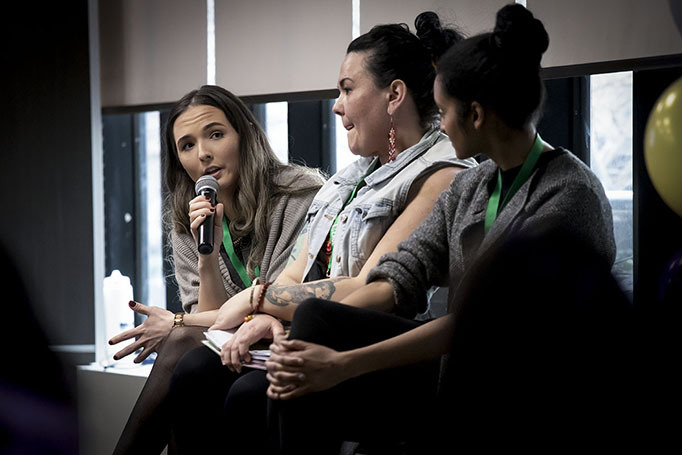 Emerge Above the Stigma, which featured a five-person panel who discussed overcoming the stigma of mental health issues while launching successful media careers. OnBrand, a speaker panel discussion about social media marketing, and how to enter the field. Yoga & Paws for a Cause, a fundraiser for the Toronto Humane Society, featuring two dog yoga workshops. Also upcoming are the Emerge Media Awards (a dinner and ceremony presented by fourth-year Media Studies students to celebrate the winners of a national media competition), and the media studies The(sis) Symposium, organized by a group of third-year students to present fourth-year research projects. 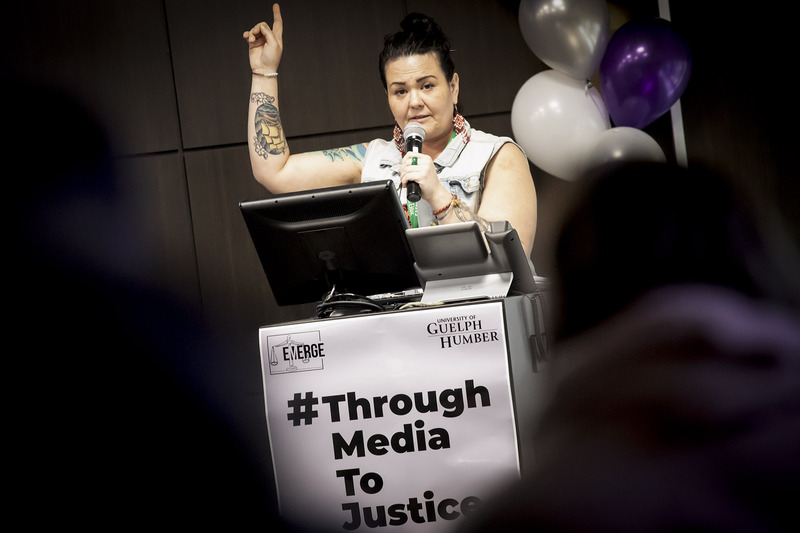 Through Media to Justice featured three speakers, who all gave informative, inspiring, and personal presentations to a packed room filled with post-secondary and high school students, faculty, staff, and the community. The speakers were: Jennifer Flood, Sexual Violence Prevention and Education Coordinator at Humber College; Daniella Baretto, Digital Activism Coordinator at Amnesty International, who has worked with Black Lives Matter - Vancouver; and Holly Jarrett, founder and creator of the social media injustice campaign #AmINext, which looked at missing and murdered Indigenous women. Flood’s opening presentation focused on sexual violence and prevention in the age of #MeToo and #TimesUp. She said it was powerful to discuss such an important topic with both high school and post-secondary students in the audience. 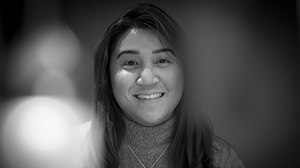 Next up was Daniella Baretto, who spoke about her experience with social media activism with Black Lives Matter – Vancouver and at Amnesty International. She says she wanted to address another side of hashtag activism in her talk—surveillance of activists and trolls. 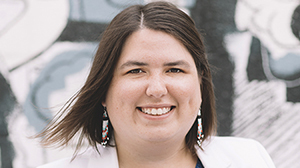 “There is a lot we can do online that creates many interesting conversations, but there’s also that risk of being watched and stopped by state actors, or trolls, so that’s something we’re not talking about a lot that should be connected with conversations about online activism,” she says. The day’s final speaker was Holly Jarrett, who talked about her campaign #AmINext, which she launched after her cousin was found murdered. Jarrett says that talking about lived experience could translate into real policy change. 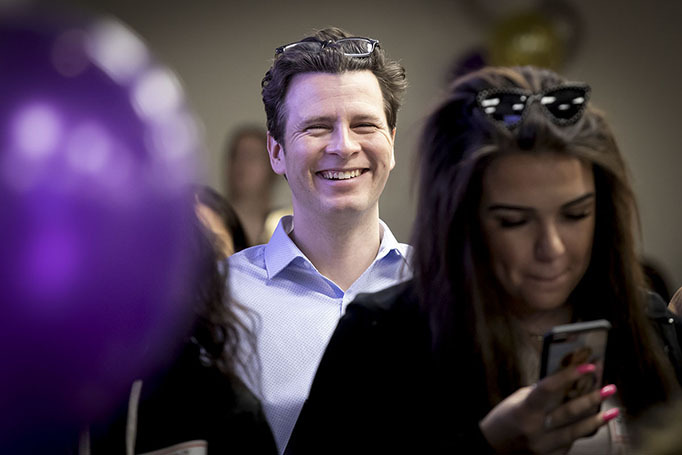 For the student team that brought Through Media to Justice to life—Jamie Vergara, Emily Tessier, Elysa Viti, Bryana Persaud, Hailey Eno, Danielle Daley, and Teanna Jame—it was gratifying to have their hard work pay off with a successful event.